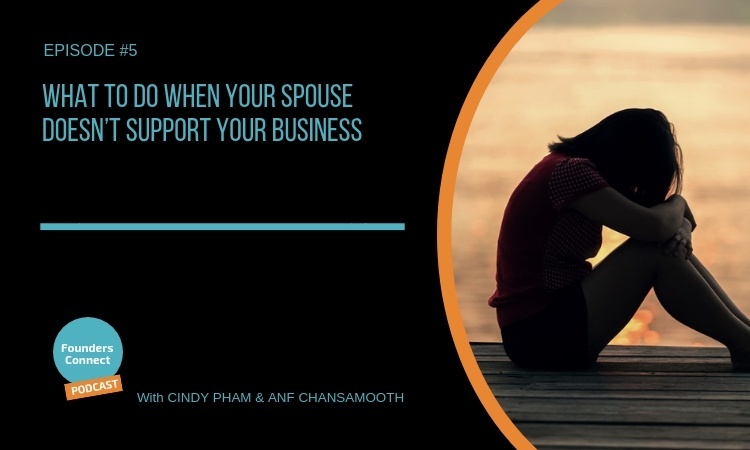 What can you do if your spouse doesn’t support your business? As business owners, and committed life partners, we know with 100 percent certainty that if one person in our relationship didn’t support the other’s business dream, then there’s a high chance it would fail miserably (or we’d struggle to keep it alive). This is a tough situation to be in, and many entrepreneurs find themselves in the unfortunate situation where their significant other is not in support of their business venture. So in this episode, we discuss 3 reasons why this is a problem for entrepreneurs and offer 5 practical things that founders can do to address this challenge. 5 practical actions you can try when your spouse doesn’t support your business. 10 Exercises for Better Couple Communication.